Introducing a mod that we didn’t have yet and that will appeal to those who like “FEAR” mods. CreepyPastaCraft 1.7.2 and 1.7.10 allows crafting a computer, which with right clicking can be placed paper and create the CreepyPasta at “random”. At that time, we only take the written paper and right click on the ground. For now, this mod adds CreepyPasta are Mothman, Jeff The Killer, Jane The Killer, The Rake, Smile Dog, Slendy, Squidward’s Suicide, Strider, Eyeless Jack, Seed Eater and Crah. The mod also allows crafting diapers for our character . 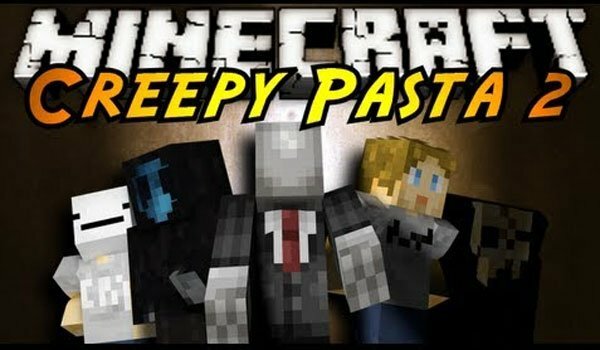 How to install CreepyPastaCraft Mod for Minecraft 1.7.2 and 1.7.10? Double-click the mod downloaded file to run the Forge installer. Frighten time with CreepyPasta in Minecraft!